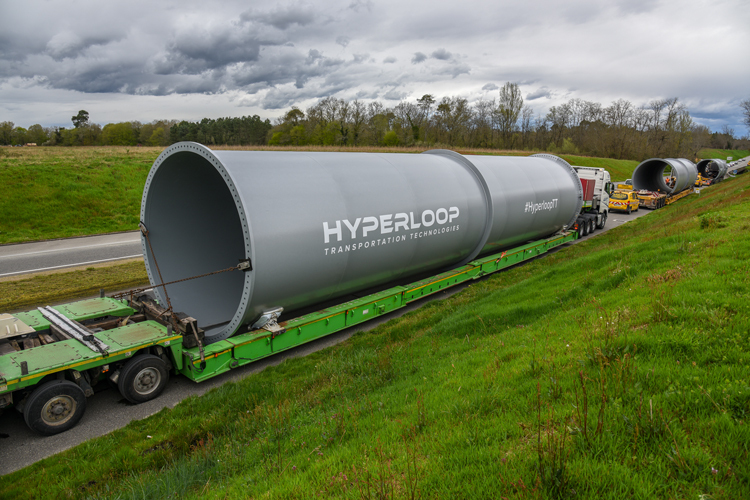 Playa Vista, Calif. — Hyperloop Transportation Technologies (HyperloopTT) announced the arrival of the first set of tubes designed to move both people and freight to their research and development center in Toulouse, France. With an interior diameter of 4.0 meters, the system is optimized both for passenger capsules and shipping containers. The first phase includes a closed 320-meter system that will be operational this year. In addition, a second full-scale system of 1 km elevated by pylons at a height of 5.8 meters will be completed in 2019. Both systems are fully upgradeable and will be utilized by both HyperloopTT and partner companies. The full-scale passenger capsule, currently near completion at Carbures in Spain, is scheduled for delivery to the facility this summer for assembly and integration. Additional details for a public unveiling of the facility in 2018 and prototype track will be forthcoming.